Rijeka’s seafront is a patchwork of old factories, rain-smeared Italianate townhouses and a giant, rusting hulk of a ship that soars above all. Fenced off and left to rust on Rijeka’s central marina, Galeb (The Seagull) was once the presidential yacht of Marshal Josip Broz Tito. A floating home from home, Tito used the boat for glamorous parties and official state visits. Born in 1892 to a Croat father and Slovene mother, Tito ruled Yugoslavia from the end of WW11 until his death in 1980. His legacy is divisive: some consider Tito the hero partisan who waged war against the Nazis; others remember him as a murderous dictator. Built in 1938 in Genoa, The Galeb was originally designed to ship fruit between Africa and Italy. Appropriated by the Italians during the war, it was attacked by the British in 1941 and sunk by Allied forces in 1944. Retrieved from the Adriatic seabed, it was later repurposed as the grand presidential yacht of Josip Tito. The 385ft-long ship ferried Tito around the Adriatic and beyond, and played host to statesmen, tycoons and the rich and famous. Conjuring fantasy dinner party-levels of stardom, the boat courted Tito’s celebrity friends Elizabeth Taylor and Richard Burton and political figures as diverse as Gandhi and Gaddafi. Unlike his former communist comrades in the Eastern Bloc, Tito imagined his Yugoslavia as an outward-facing socialist republic, one that prized itself on its openness to the world. The ship was a majestic sign of wealth and an extension of his regime. At home, the yacht was lionised in state media as a symbol of Yugoslavia’s respectable standing on the international stage. It garnered international attention when the yacht steered Tito to the River Thames to meet Winston Churchill. A historical milestone, the event marked the first visit to the United Kingdom by a communist head of state. After Tito’s death, Yugoslavia disintegrated and collapsed into a bloody civil war that would cost over 100,000 lives. Over time, Croatia took a more jaundiced view of The Seagull. The boat was nearly relegated to maritime history. Taken over by the Montenegrins and sold to a Greek yachtsman, The Seagull reared its beak in Croatia once more when he sent the ship to Rijeka to be repaired. He couldn’t afford the bills, and the boat was claimed by the local authorities. The battered ship lay dormant on the banks of Rijeka, occasionally used for impromptu parties and the odd exhibition but struggled to find real purpose. Later, the left-leaning mayor of Rijeka revealed his plans to salvage The Seagull. During an intense political atmosphere, when a conservative government set about stripping streets, squares and parks of Tito’s name, this chaffed against popular opinion. 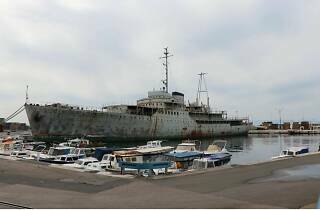 But Rijeka saw promise in this rotting hull. The mayor unfurled his vision of the new museum, expected to be a sensitive, honest depiction of Tito’s legacy, free from idolatry or resentment. The museum will preserve the original features of Tito’s floating living quarters, from the hairpin-legged tables to his pink mattress and veneered-teak panelling that was the apex of chic in the ‘50s. 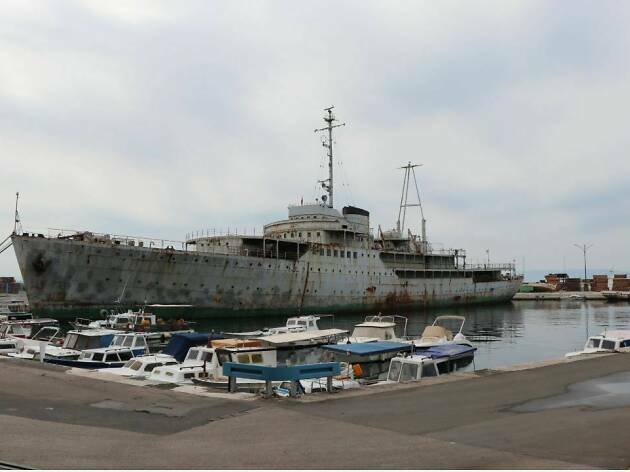 As the city scrubs up for the European Capital of Culture 2020, Rijeka has designated 4.5 million euro for the boat's refurb. Headed by Nikolina Jelavić Mitrović, an architect responsible for the spellbindingly beautiful Apoxymenos Museum on the island of Lošinj, the museum is only one aspect of this ambitious project. On the lower deck, a hostel with bull's-eye windows will host seafaring guests, with a capacious restaurant and bar set on the second level. There's also talk of an outdoor cinema and everything from a barber shop to an ice-cream parlour. Whatever you might think of Tito, the historical flight The Seagull isn't over yet.